This Gem Trek map meets the needs of visitors looking to explore the Bow Lake and Saskatchewan Crossing region of Banff National Park. Whether you are touring along the roads or heading into the backcountry, you’ll find the waterproof and tear-resistant Bow Lake & Saskatchewan Crossing map to be an invaluable tool. This map features detailed cartography, accurate hiking trails with distances, and details such as logging roads on the British Columbia side of the Continental Divide, campgrounds, picnic areas, and abandoned fire lookouts. On the back are descriptions of 24 recommended hikes, ranging from short walks to overnight treks, as well details of services such as campgrounds and visitor centres. 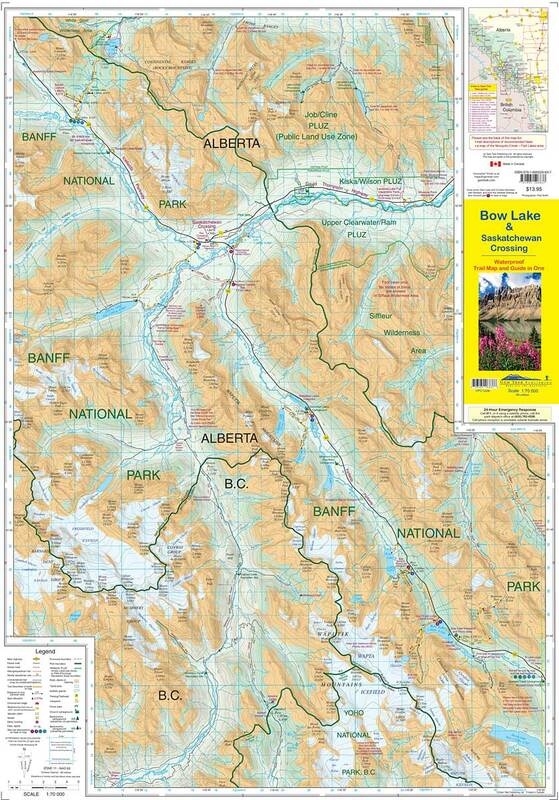 The Bow Lake & Saskatchewan Crossing map covers the portion of Banff National Park along the Icefields Parkway between Bow Lake in the south and Graveyard Flats in the north. from Lake Louise in the north. It also includes the Kootenay Plains, which are accessed east of Saskatchewan Crossing along Highway 11. It also includes coverage of the Blaeberry Valley in British Columbia and the historic trading route linking the Blaeberry to the Kootenay Plains via Howse Pass. 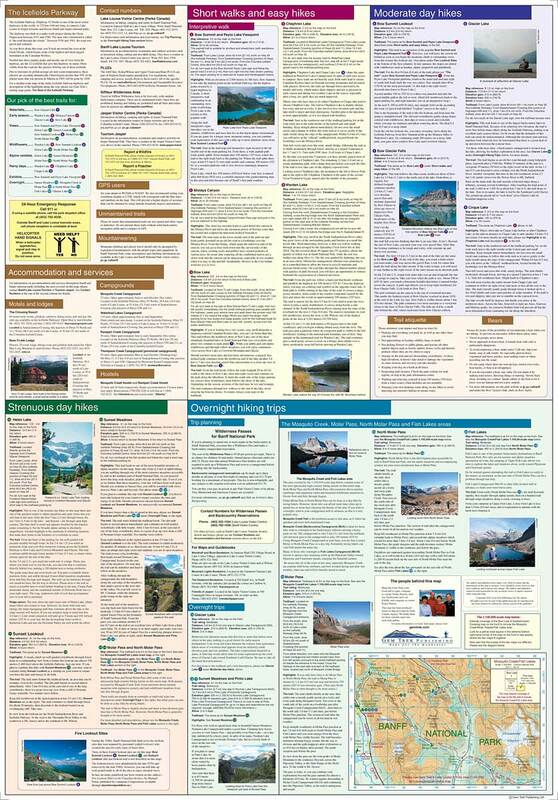 Popular hiking trails on the Bow Lake & Saskatchewan Crossing map include Bow Glacier Falls, Helen Lake, Bow Summit Lookout, Sunset Pass, and Cirque Lake, Chephren Lake, and Glacier Lake. A 1:100,000-scale inset map on the back increases coverage on the east side of the Icefields Parkway in the Mosquito Creek drainage, providing detail for hikers heading to Fish Lakes and Molar Pass.